LASI is an independent lighting audit and analysis company. We believe the lighting audit is the foundation of every project and we are dedicated to thoroughness and accuracy. We understand that material cost and labor cost estimates are based on the audit. We understand that schedules, profits, reputations, client satisfaction and energy savings are all based on the audit. We provide a detailed room-by-room analysis custom tailored to your needs. We work with you on each and every application. We strive to give you confidence in the foundation of your lighting project, to reduce costly change orders and create a lighting environment suitable to your objectives. 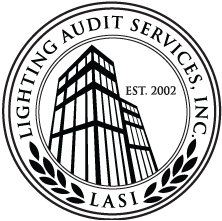 Since 2002 Lighting Audit Services has been responsible for over 125 million square feet of lighting audits in 20 states for our clients. LASI now offers Energy Benchmarking Services in all 50 states. 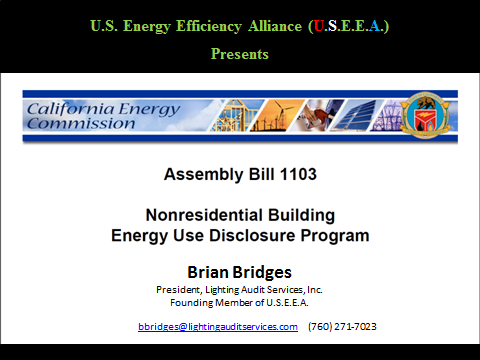 This virtual energy audit is a low cost first step in the energy audit process and is required by law in may cities and states. Brian Bridges at Lighting Audit Services, Inc.